When smoke damage occurs in your home or business, Viviane's Cleaning & Restoration Inc's team of dedicated cleaners is ready 24/7 to facilitate the cleanup process. Call (781) 222-3182 for a free quote. We can reverse the damage a fire has caused at your property and get you back to normal living quickly. Smoke damage requires an immediate response and action when it comes to restoring your property. Contacting Viviane's Cleaning & Restoration Inc as soon as the need arises for smoke damage restoration is the first important step you can take to avoid further damage. At that point, we can begin to assess the damage, seal the contaminated area, and start the cleanup process, eventually restoring your property to its pre-disaster condition. 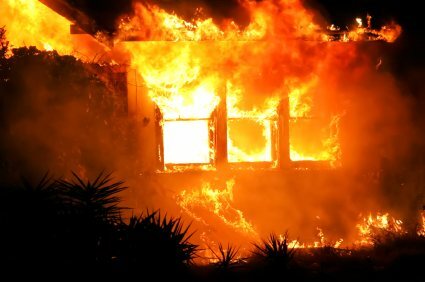 • Contact our trusted, experienced emergency smoke damage professionals as soon as you suspect damage to your property. • We will assess your emergency situation and tailor a custom remediation plan to get your property back to normal. • Sealing and quarantine of the affected area will prevent further damage to other areas of your home or business. • The cleanup process will commence, removing smoke, dust, soot and other disaster related damages, followed by sanitization and thorough cleaning. • Experienced teams will repair and restore the damaged areas of your home or business back to its original state. Knowing that dealing with smoke damage is a stressful time for anyone, Viviane's Cleaning & Restoration Inc's professional staff will be there to assist you throughout the entire restoration process and guarantees a satisfactory result. Since 2002, Viviane's Cleaning & Restoration Inc has been the premier smoke damage restoration contractor in this area.